Modern pole barn buildings, or post frame buildings, are appropriate for many uses. 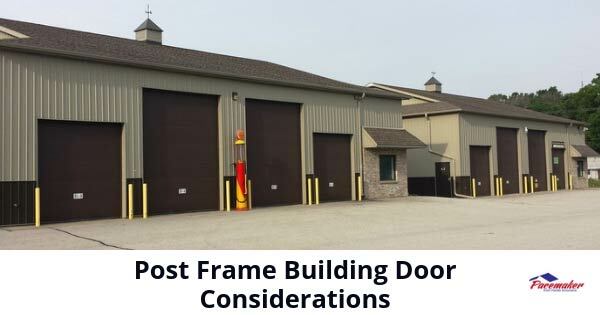 Pacemaker Post Frame Buildings, headquartered in Northern Indiana advises, designs, manufactures, and constructs pole barn structures for nearly every segment of the market. 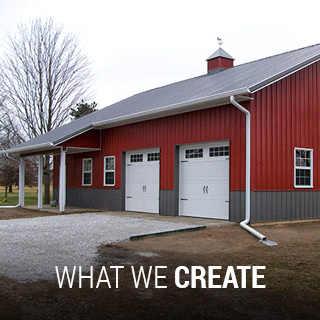 Pole barn building is high-quality, economical, versatile, and durable. 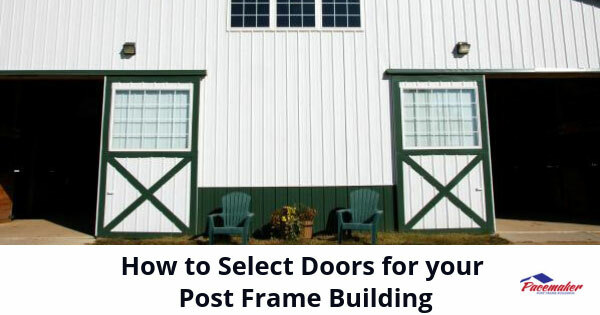 Thus, pole frame buildings are becoming an ideal choice for civic, suburban, agricultural, and equestrian buildings everywhere. 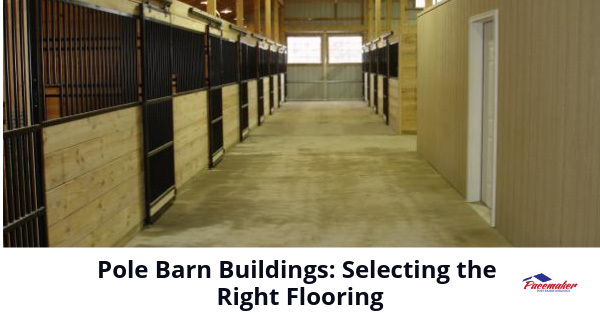 Selecting the right flooring for the intended application is an essential element of any new pole barn structure design. Therefore, depending on the building’s use, floors in pole barn buildings might range from soft dirt to highly engineered flooring designed for comfort and durability. 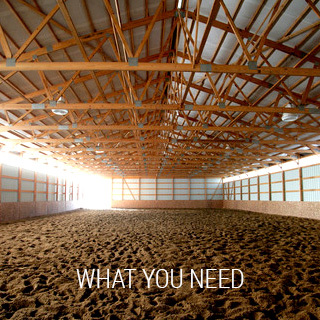 Choosing the right flooring for a pole barn building is much the same as for any building. However, since pole barn construction is appropriate for more uses than conventional construction methods, the range of flooring options is more extensive. For manufacturing, warehousing, and equipment storage and movement, concrete is an ideal option. The material is easy to clean, durable and may be reinforced to support excessive loads. Treated and painted concrete in a pole frame structure is frequently used for indoor sports due to the clear space within. For some applications, dirt or sand flooring is ideal. Horses and other animals overexposed to solid flooring typically sustain hoof and leg injuries. Therefore, by providing a soft footing, those injuries are avoided. Softer surfaces are better in equestrian centers. Allowing you to add or replace as needs arise. Equestrian centers and veterinarians today are also suggesting various composite rubber flooring materials to ease the strain on horse bones, joints, and ligaments. Not only do these materials relieve stress on the musculoskeletal systems but require lower volumes of bedding. As a result, the environment is cleaner with less barn dust, thereby improving the animals’ respiration. The material is easy to clean and more sanitary than standard bedding. In colder climates, constructing a radiant heat flooring system is useful. Especially where workers must stand for long periods or customers are moving about. Planning your pole barn with heated water or electric coils in the flooring system pays off in employee and customer comfort. Additionally often reduces heating costs. Pole barn professionals can advise the best approach for your situation. In pole barn offices, retail establishments, schools, churches, or residences, wood flooring is ideal. The surface is comfortable to walk on and attractive, evoking an aura of style and beauty to the interior. Having a level site to construct your pole barn buildings is highly recommended and usually necessary. However, some have successfully built pole frame garages, small shops, and buildings on sloping elevations by using longer posts on the downslope. The grade variation beneath is mitigated by a reinforced, raised wooden floor system. 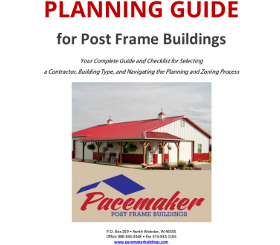 For nearly four decades, Pacemaker has provided advice, materials, and support for property and building owners who elected to employ high-quality and durable pole barn construction. 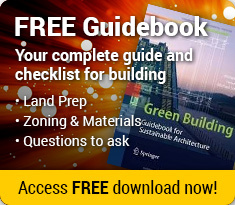 Contact the Pacemaker Post Frame Buildings professionals to explain how pole frame buildings can be the solution to your needs. Additionally, we can provide guidance on selecting a type of flooring that works best for your needs. 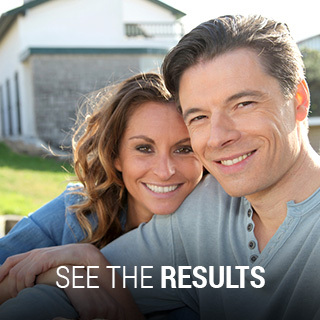 Call the experts at 1-888.834.4448. This entry was posted in Main, Pole Barns and tagged pole barn buildings, pole barn flooring options, pole barns on February 26, 2019 by Jack Cripe.